Time for some retail therapy! 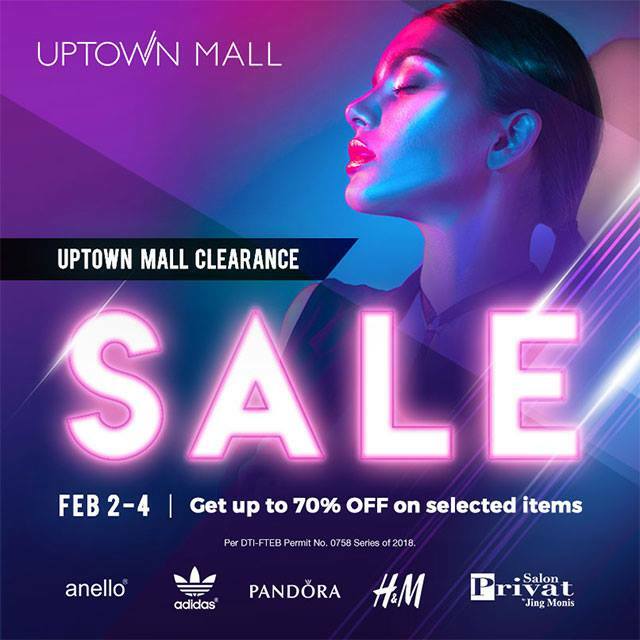 Enjoy up to 70% off on your favorite brands at Uptown Mall's Clearance Sale, happening on February 2-4, 2018! Enjoy up to 70% off on selected items from participating stores (like Anello, Pandora, Adidas, H&M, and more) mallwide! Get P100 OFF of your GrabCar ride when you go to Uptown Bonifacio when you use the promo code UPTOWNSALE. This GrabCar promo ride is valid from Feb 2-4, 2018, as well!